ENJOY 10% OFF* when you make a reservation online. Use Promo Code BIB at checkout. * Limited time offer. Online special only. Not applicable with phone or counter reservations. 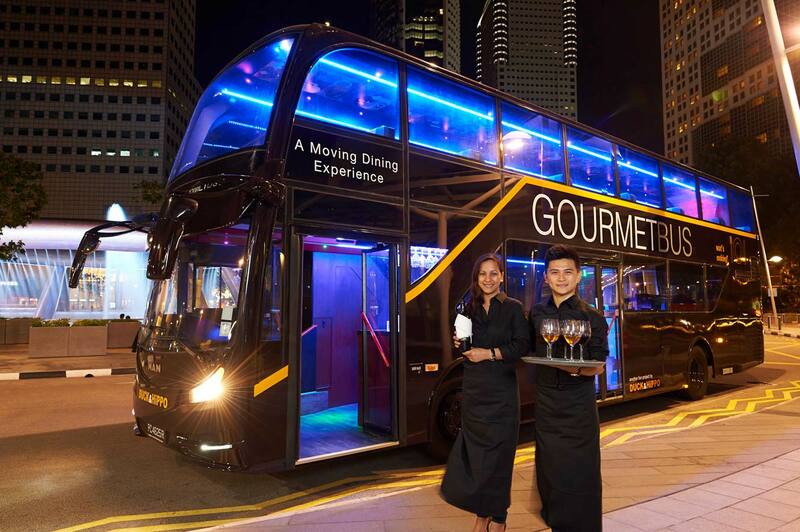 Established by DUCK & HiPPO, the Singapore GOURMETbus is a flagship project that fills a unique spot in our roster of tours. 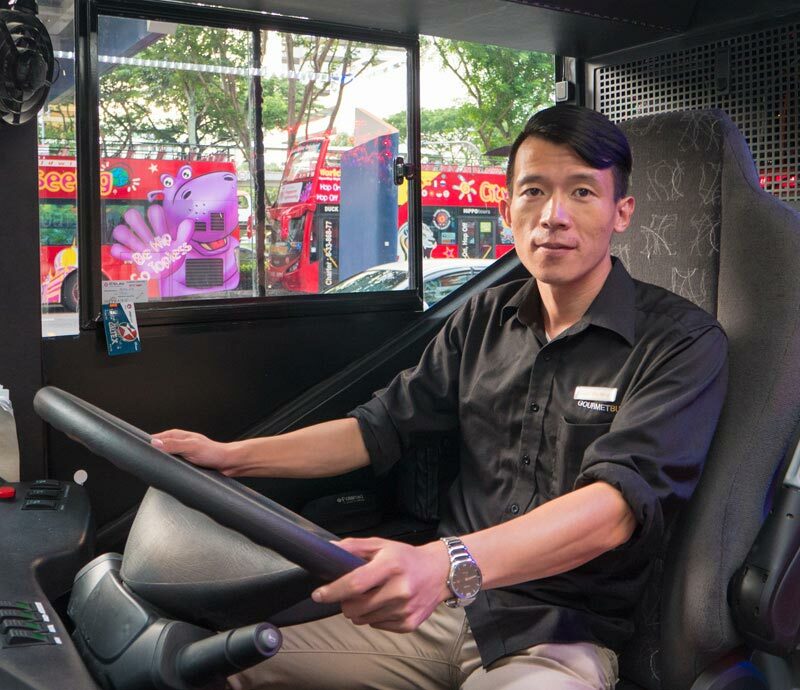 As the operator of the hugely popular open-top tour buses that serve more than one million tourists yearly, we know how to run a tour, and run it well. 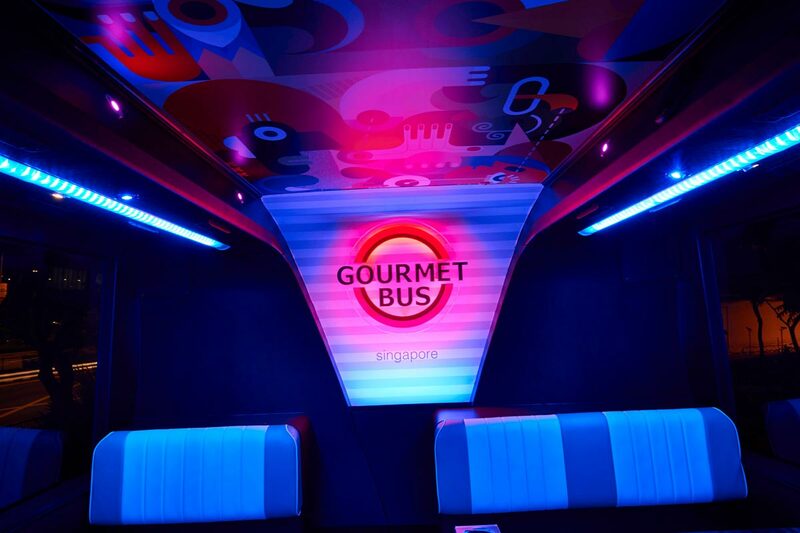 Our people are integral to our success, and we’ve picked the cream of the crop to serve you on the GOURMETbus. With almost 6 years of experience under his belt, your friendly host knows exactly what you need before you can even say it. 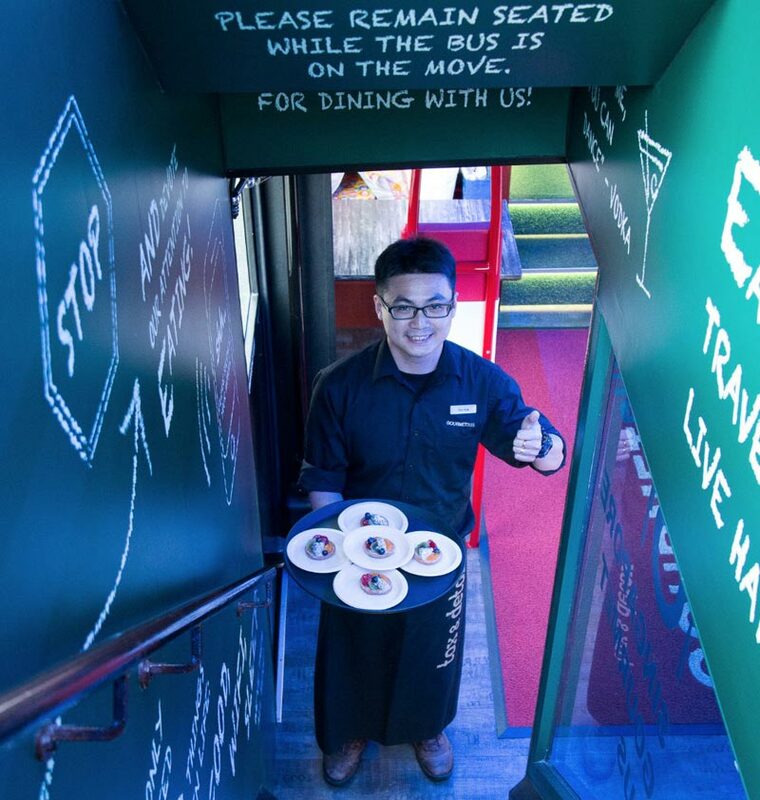 Always greeting guests with a warm smile, Glenford ensures your GOURMETbus experience is top notch. Being with DUCK & HiPPO for 3 years has given San How the chance to serve all kinds of international guests. An expert at presentation, serving up your meals with style and elegance. 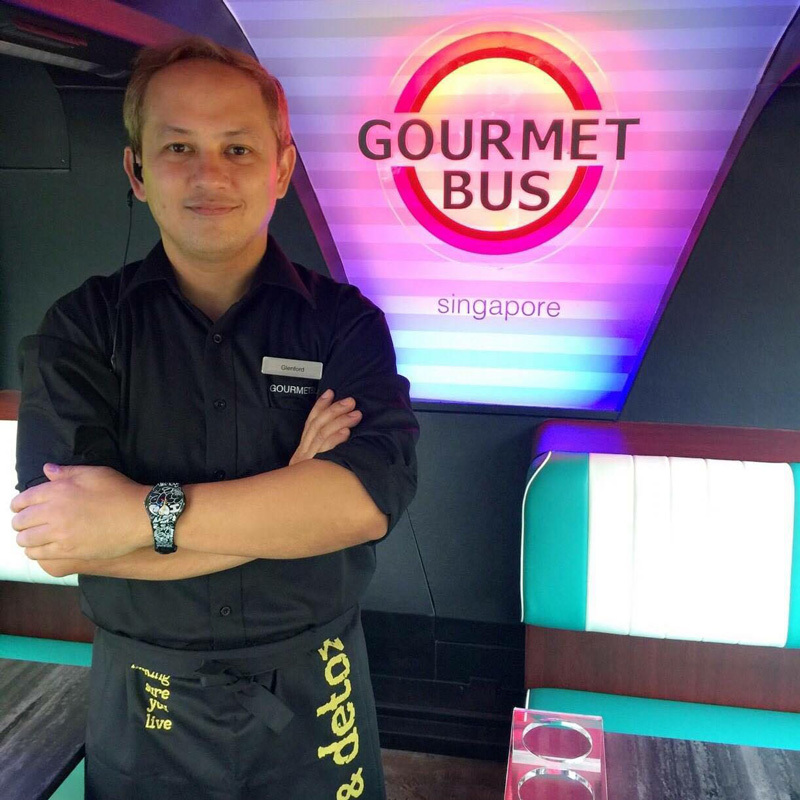 Your friendly captain Shu Ming ensures your meal onboard the GOURMETbus is smooth and enjoyable, with his skilled driving and navigation. AT YOUR SERVICE TO OFFER THE BEST MOVING EXPERIENCE POSSIBLE.